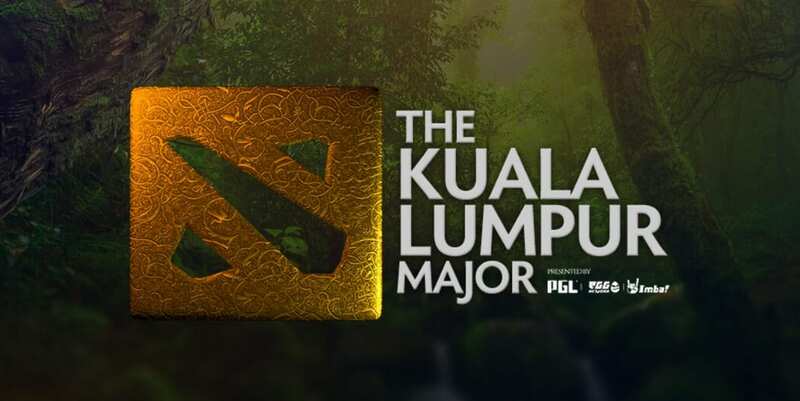 Launched in 2018, the Kuala Lumpur Major is one of the biggest events on the Dota Pro Circuit calendar. Let us show you everything you need to know about Malaysia’s top esports tournament, including key dates, how to qualify and which bookmakers offer the best odds on the finals. Every one of our recommended esports betting sites has markets for the Kuala Lumpur Major. In order to guarantee the best price every time you bet, we suggest signing up at all of the bookies above and comparing the odds. For more information, see our in-depth guide on how to bet on esports. When is the Kuala Lumpur Major held? The inaugural KL Major was the first high-profile event of the 2018/19 Dota Pro Circuit season. The group stage commenced on November 9, 2018 and concluded the following day, while playoffs ran over a week from November 11. The main event took place between November 16-18 at the Axiata Arena in Kuala Lumpur, Malaysia. How many teams compete in the KL Major? The Kuala Lumpur Major features 16 teams from all over the world. Three places go to regional qualifiers in each of Europe, China and North America, while two spots are reserved for qualifiers from CIS nations, South America and Southeast Asia. The reigning champions of the Dota 2 Dream League gain automatic entry. What is the prize money for the KL Major? The 2018 Kuala Lumpur Major carried a total purse of US $1,000,000 – the biggest prize in Malaysian esports. More than half of that amount went to the top four, with the champions taking home $350,000. The remaining 12 place-getters shared a pool of $300,000, with each team in the bottom four picking up $10,000. Do Kuala Lumpur Major qualifiers receive DPC points? All 16 teams that reach the group stage earn valuable Dota Pro Circuit points towards a spot in The International. Top place collected 4,950 DPC points in 2018, with 3,000 going to the runners-up, another 2,100 to third place and 1,350 to fourth. Teams don’t even have to win a game, as each of the bottom four goes home with a handy 75 points. Which team won the Kuala Lumpur Major last year? Virtus Pro won the very first edition of the KL Major. After qualifying through the CIS category, the Russian outfit did not drop a game until losing to Team Secret in the Upper Bracket final. They had the ultimate revenge, however, beating Evil Geniuses in the Lower Bracket to set up a rematch and then winning 3-2 in a memorable best-of-five decider. Ready to bet on the Kuala Lumpur Major? BetOnline has excellent odds across a wide range of betting markets for Dota 2, League of Legends, Overwatch and many more of the most popular esports games. Better yet, new customers can pocket hundreds of dollars in bonus cash and extra bets by simply signing up and having a go.